Identify and reach all the right stakeholders within target accounts with Terminus account-based marketing. As the Digital Marketing and Business Development Manager for Chart Industries, Judson Voss and his team operate in a niche industry where repeat customers fuel their business. While there are many stakeholders who influence purchase decisions, the Chart sales team initially may only have one or two points of contact within each company. In those preliminary talks, the POC may be the only way to disseminate the information to the rest of the decision-making team, leaving a lot of room for misconception of Chart’s value proposition and overall message. Just like the sales team, Chart’s marketing team struggled to reach those elusive decision-makers, which caused a gap in sales and marketing alignment. 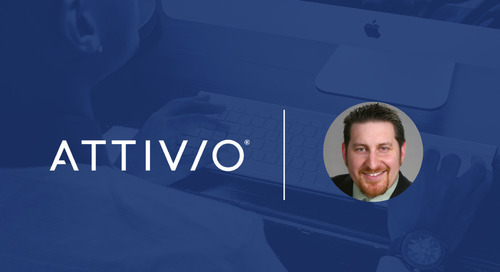 And because the specialized nature of their business means they don’t generate a ton of new leads, Judson and his team were looking for a way to focus marketing spend on efforts that engage their current customer base and get marketing and sales on the same page. 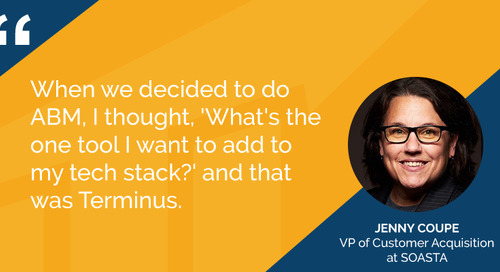 Judson knew that an account-based marketing and sales approach would help Chart reach and engage those decision-makers and accelerate their sales process, which is why he chose to work with Terminus. Now that Chart’s marketing team is up and running with Terminus account-based marketing, “we’re starting to bring the sales team in,” says Judson. 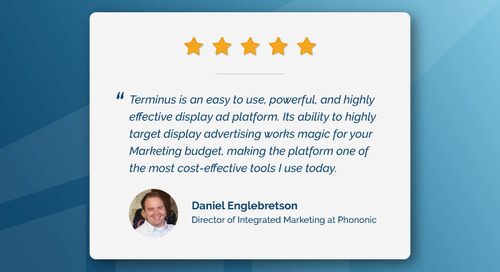 Terminus has also helped Chart identify decision-makers within each of their target accounts and deliver a personalized, relevant message to them. 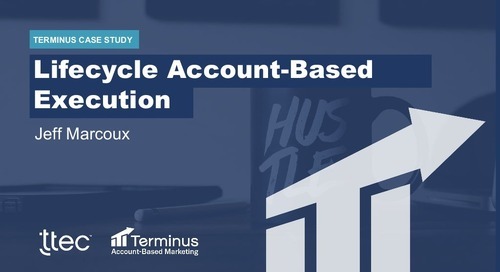 Chart’s marketing team supports sales efforts by running Terminus account-based marketing campaigns on all the key contacts within their target accounts. 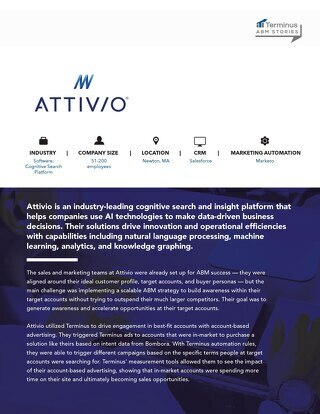 This air cover from marketing keeps Chart top-of-mind with their customers and helps them stay engaged with each person that has a say in purchase decisions. This is critical with Chart’s long, complex sales process.  It has also helped improve the relationship between sales and marketing because everyone is working towards the same goal: drive engagement among decision-makers within their target accounts. 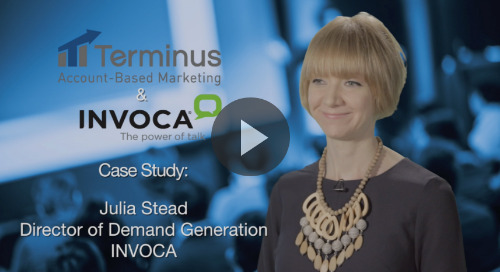 One of the biggest benefits Judson sees in working with Terminus is how easy it is to get account-based marketing campaigns up and running and to track results. 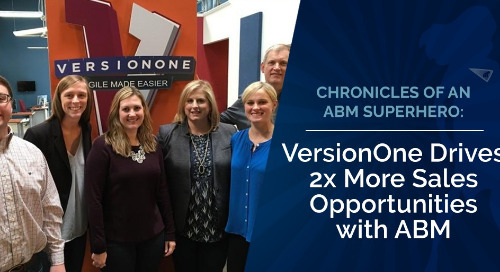 Chart has a small team, so having an account-based marketing technology partner that can do a lot of the heavy lifting has increased adoption internally and made it easier for Chart to see results with ABM. 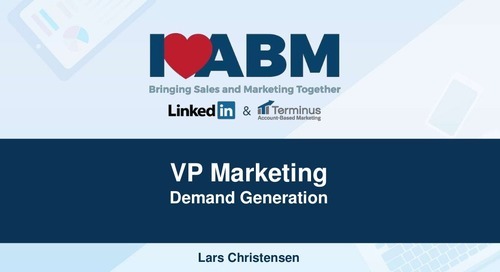 If you’d like to learn more about how Terminus account-based marketing can help your B2B sales and marketing teams identify and engage the right contacts in your target accounts, let us show you a demo.